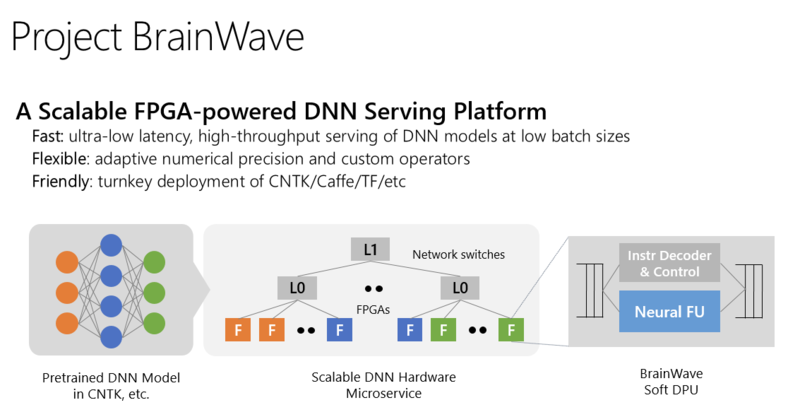 Microsoft is attaching the FPGAs right to its overall data center network, which allows them to become something akin to hardware microservices. The advantage here is high throughput and a large latency reduction because this architecture allows Microsoft to bypass the CPU of a traditional server to talk directly to the FPGAs. Indeed, Microsoft argues that Brainwave offers 5x less latency than Google’s TPUs.